VILLAGE LOCATION, ONE FLOOR LIVING! Inviting open floor plan, stunning sunken living room with wall of windows, vaulted ceilings and brick fireplace. Charming kitchen with soft maple cabinets, granite, glass cabinetry, gas stove and wall oven. This 2/3 bedroom home boasts 3 full bathrooms, hardwoods throughout, central air, invisible fence and 2 car garage. Gorgeous gardens, with endless blooms from March thru October, surround the stonewalls, brick patios and luxurious pool area. Enjoy, relax and entertain in this brightly sunlit home close to Hall's corner and convenient to all Duxbury has to offer! Well known for it's highly acclaimed schools, Duxbury is 35 miles south of Boston and hosts of one of the South Shore's prettiest beaches! 180 Chestnut St, Duxbury, MA 02332 (MLS# 71972758) is a Single Family property that was sold at $609,000 on July 15, 2016. Want to learn more about 180 Chestnut St? 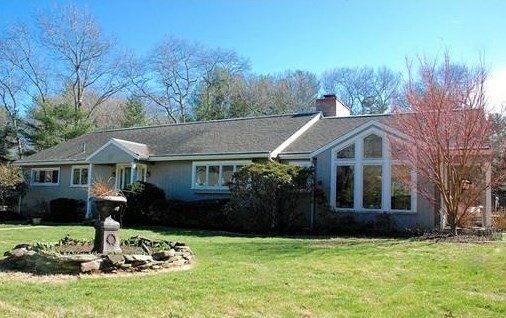 Do you have questions about finding other Single Family real estate for sale in Duxbury? You can browse all Duxbury real estate or contact a Coldwell Banker agent to request more information.